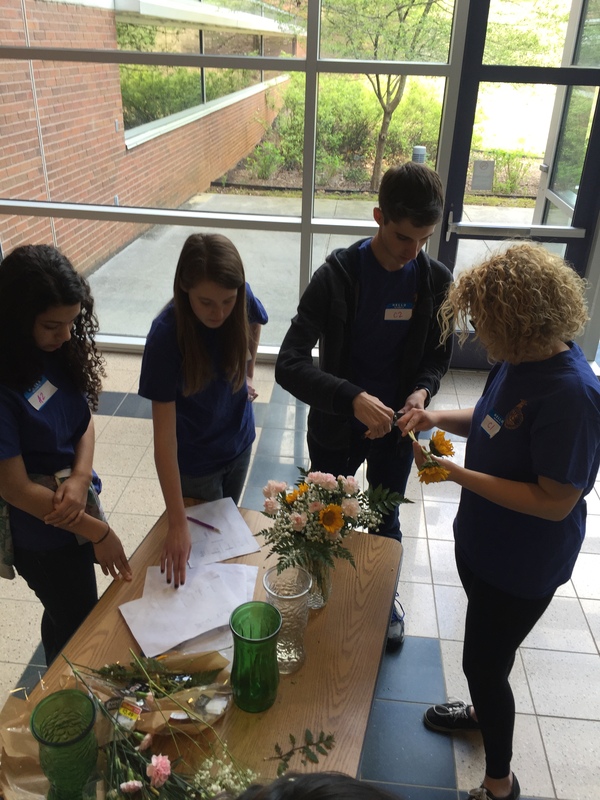 - Team Activity = team members will perform a floriculture industry-related task that requires teamwork. 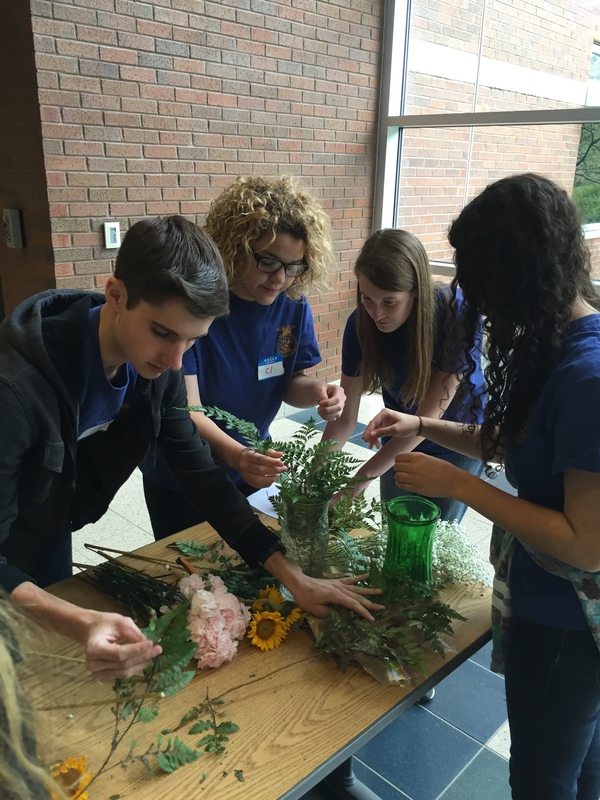 Examples include: making a floral decorations for an event, demonstrate the use of a horticulture product, filling orders, and designing on location. - Plant Identification = of 124 different plant species. - General Knowledge Exam = of floriculture-related questions. - Problem Solving = each problem will describe a situation and list a problem, and then give 4 possible solutions to the problem. All material needed to solve the problem will be provided. - Practicums = each member must complete the following individually: a floral arrangement, a job interview, a 1-on-1 product selling or phone product selling, potting of plants, and other floral industry tasks (such as making a dish garden). The contest has 3 levels: Regional, State, and National. Any FFA Chapter can compete at the Regional level. Top 4 Regional Teams compete at the State level. State-winning team qualifies for the National contest. The Regional and State levels are held in April. Team members: Kenzie Bastian (1st High Individual), Cole Tipton (2nd High Individual), Aisling Hagan (3rd High Individual), and Trloix Cox (5th High Individual). 2015: 5th place, Regional. Team members: Kenzie Bastian, Molly Sayre. 2016 FLORICULTURE CDE STATE CHAMPS! David Crockett FFA placed 1st in the Regional CDE, then slayed the State CDE, becoming State Champs! Cole Tipton - 1st High Individual, State. 2nd High Individual,Regional. Kenzie Bastian -2nd High Individual, State. 1st High Individual, Regional. Troix Cox - 5th High Individual, State. 5th High Individual, Regional. Aisling Hagan - 19th High Individual, State. 3rd High Individual, Regional. The team is preparing for their upcoming National CDE during National FFA Convention in Indianapolis. DAVID CROCKETT FFA SWEEPS REGIONAL NURSERY/LANDSCAPE & FLORICULTURE CDE's! David Crockett FFA placed 1st in both Regional CDE's! Both teams are preparing for their upcoming State CDE in Nashville.